The Greater Phoenix Convention & Visitors Bureau has hired Lorne Edwards as its new Director of Sales. Edwards joins the Greater Phoenix CVB after a 16-year sales career at Hyatt Hotels Corporation, where he most recently served as Director of Sales and Marketing at two Boston-area hotels. Edwards also spent three years as Associate Director of Sales at the Hyatt Regency Denver at Colorado Convention Center. There, he was responsible for pre-opening sales operations, and he coordinated sales and marketing efforts with the convention center and Denver Metro CVB. A native of Antigua in the West Indies, Edwards began his career with Hyatt in Orlando before being elevated to a senior sales position at one of Hyatt’s iconic flagship convention hotels in Atlanta. Edwards will oversee the Greater Phoenix CVB’s 11-member sales team and report directly to Senior Vice President of Sales James Jessie. He will be assisted by Donn Oswald, who has been promoted to Director of Midwest Sales and West Coast Resort Sales at the CVB. Edwards received a Bachelor of Science in Business Administration in Hospitality Management from the University of Central Florida in Orlando, Fla. His industry memberships and affiliations include Meeting Professionals International and the American Society of Association Executives. An avid soccer fan, Edwards enjoys spending time with family and engaging in outdoor activities. He and his wife have two children and are currently expecting a third. 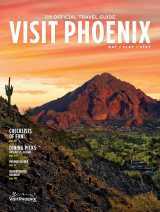 The Greater Phoenix CVB is a not-for-profit organization dedicated to promoting travel to Phoenix and its surrounding communities, where visitors spend more than $11 million annually. The Greater Phoenix CVB manages the “Visit Phoenix” brand and website, and its sales staff serves as the primary booking agent for the Phoenix Convention Center, as well as facilitates meeting requests for hotels and resorts across metropolitan Phoenix.